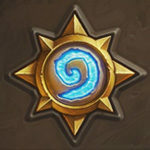 If you are just starting out, this Hearthstone beginner decks post looks to help guide you through the process of optimizing your early decks as well as give you some tips and tricks to help you learn how to better play the game. All of the decks listed below are completely free, but some do require you to level the particular hero to 10 to fully get the most out of the class early in your career. I’ve included some of TrumpSC’s (famous Hearthstone YouTuber/Twitch Streamer) starter videos for each class if you feel like you are better able to learn via video. If you’ve already started playing, check out our Budget Hearthstone Decks! One of the things I noticed from players starting out is that people played some cards that seem good but are actually quite bad. I will go ahead and list them here and briefly explain why they’re bad. While Shieldbearer has pretty good stats for a 1 mana cost minion, he usually does nothing more than absorb 4 – 5 damage. New players tend to overvalue the Taunt ability which usually comes at a cost. In this case, the cost is a minion that has no Attack stat, and requires the help of another card to allow it to take advantage of its stats. While this card was okay in a very particular deck early on in Hearthstone (Warlock Zoo) the card is now quite bad. This is another card that usually just gets eaten up by better minions and is seemingly valued because of the Taunt and high Health. Compare Silverback Patriarch to Shieldbearer – for 2 extra mana you get 1 attack stat. While if you were to play Sen'jin Shieldmasta for 4 mana, you get an additional 3 stats! Why are you seeing a lot of the same cards in these decks? Solid stats for the cost is the most general answer, but maybe we should go deeper. This card used to be a 3/3 which made it absolutely bonkers. Now it doesn’t see much play in top tier decks, but it is still a very solid card. The power of this card is its ability to allow minions to “trade up.” Trading up is using a lower cost minion to trade with a higher cost minion. Say your opponent was playing one of those unfortunate Silverback Patriarch on turn 3 against your turn 2 Bloodfen Raptor. On turn 3 you play Shattered Sun Cleric and buff your Raptor and take out the Patriarch. You now have a 4/2 and a 3/2 and your opponent has nothing on board. That leaves you in a dominant board position and your opponent will be stuck playing from behind. There’s something called the “vanilla test” which compares the stat values of a minion to the mana cost. A card passes this test by having equal mana, attack, and health stats. Chillwind Yeti and Boulderfist Ogre pass that test but also have a bonus health stat. This allows the cards to survive trades with lower and equally costed minions. Chillwind Yeti trades and survives a battle with a 4 drop like Dark Iron Dwarf, but also beats out just about all cards below 4 mana as well (where a 5/4 would lose out to something like Kirin Tor Mage). Boulderfist Ogre beats just about all other 6 drops in the stat department. Now you might be saying to yourself: “Why aren’t these cards played in top tier decks?” As you move up in the game the requirement of a card moves above just stats. Chillwind Yeti is outclassed by something like Piloted Shredder due to its ability to be hard to remove. Cards that are “sticky” are usually more valuable than cards that just have good stats. 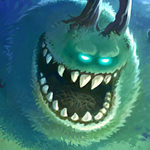 While Yeti saw some competitive play, Boulderfist Ogre has never really been used. The card is just not as good as other popular 6 drops: Fire Elemental, Emperor Thaurissan, Sylvanas Windrunner, Cabal Shadow Priest, Savannah Highmane, and Shieldmaiden. All of these cards have decent stats, but they also contain a strong effect that makes them even more valuable. I’m going to start with Mage because this is the class most people start on. Mage has a lot of great class cards, and you can actually do a bit of ladder climbing with a deck full of basic Mage cards. Frostbolt, Water Elemental, Fireball, and Flamestrike. Don’t become obsessed with your hero power. You do want to take advantage of the fact that you can take out a minion with one health, but you don’t want to allow your opponent to always be the one taking the initiative. You generally want to use your hero power while playing a minion. If you have the option of playing a 4 mana cost card or picking off a 1 health minion with nothing to play afterwards you likely play the minion (unless it trades directly with the 1 health minion). Try not to use your spells to do damage to your opponent’s face unless you have lethal damage. Most of the time you want to use your spells to continue to maintain your board presence. Spells do damage once, while minions are capable of doing damage every turn. There will be occasions when targeting face is correct, but this is usually reserved for when you are setting up lethal the following turn. A lot of the Druid class identity revolves around the ability to accelerate your mana pool. This can allow it to play aggressive decks that flood the board, or allow for it to play stronger late game minions that you can play sooner than your opponent can deal with. Druid has been problematic in the past, so its most powerful card (Innervate) has seen a reduction in power. Wild Growth, Innervate, and Swipe. Wild Growth has a non-listed ability that is quite important to know. If you have ten mana crystals, you can play Wild Growth and you get an Excess Mana card which is a 0-mana spell that draws you a card. This only works with some of Druid’s ramp cards, like Pilfered Power and Astral Communion. Jade Blossom, Nourish, and Grove Tender, however, do not have this ability. Hunter is a departure from the typical board control play style. Due to the Hero Power doing 2 damage to the opponent’s face, the class is generally more centered around getting in damage rather than controlling the board. Animal Companion, Hunter's Mark, Kill Command, and Houndmaster. Look to weave in a Hero Power whenever you can for an easy 2 damage. Trade minions when the trade is too good to pass up. Beware of overextending into AOE cards, such as: Lightning Storm, Consecration, Hellfire, and Holy Nova. Remember, if you keep up the pressure your opponent is forced to make the trades, which allows you to continue to go for the face. Paladin is generally a Control/Midrange class that uses its Hero Power and class cards to maintain board control and slowly erode their opponents health. Consecration, Truesilver Champion, and Blessing of Kings. When using a card like Blessing of Kings you generally want to cast it on a minion that can attack THAT turn. If you cast it on a recently summoned minion, and allow your opponent to interact with it, you might end up losing the minion and the blessing without gaining any value. An example of this would be casting Blessing of Kings on a 3/2 minion, passing the turn, then having your newly enlarged minion eating a Hex or Polymorph. This means you will have lost 2-cards for 1 and are maybe left with a tiny minion. Truesilver Champion is a great card for clearing minions and shouldn’t be wasted on going to the face. Priest’s Hero Power allows it to keep minions alive which can lead to a dominant board state. Unfortunately, if you have no board to speak of the Hero Power is weak and does nothing to help you regain the board. Northshire Cleric, Power Word: Shield, Shadow Word: Death, Holy Nova, and Mind Control. Turn 1 Northshire Cleric is generally a bad idea. This card can get you tremendous card advantage, and unless you are against a Hunter or an aggressive deck, you’ll likely want to hold onto the card until you can get at least one draw. You will generally want to target your minions with your Hero Power, keeping them alive and maintaining board control is crucial to your success as a Priest. Rogue’s Hero Power is both a gift and a curse. It allows for multi-turn use for 2 mana, which is extremely mana efficient. However, it does force you to continue to use your health as a resource, and against classes like Hunter you can quickly find yourself at low health and unable to continue to control the board with weapons. Backstab, Deadly Poison, and Assassin's Blade. Use that weapon of yours to take out minions! You generally don’t want to attack your opponent’s face unless you know for sure you’re about to re-equip your weapon or you’ll be for sure re-equipping it next turn. This also allows you to keep the 2 durability for using a card like Deadly Poison. Backstab is a great card for getting tempo, you take out a minion with it and are able to still play a minion afterwards. This means Backstab is a really good card to keep in your opening hand. Shaman seeks to control the board and make value trades to keep it. Flametongue Totem is a card that can be used to power Shaman’s totems and allow for efficient trading. Keep in mind there are 4 different totems, once you have 1 on the board your Hero Power will only summon 1 of the other 3. So when you have all 4 totems on board, you can no longer utilize your Hero Power. This is rarely an issue, but there is one other caveat to this rule. If you were to have one of your totems sent to your hand, you will then be able to roll that totem again and play the one from your hand as usual. Shaman’s Totems: Healing Totem, Searing Totem, Stoneclaw Totem, and Wrath of Air Totem. Flametongue Totem, Hex, and Fire Elemental. Use your totems to gain and keep board control. Whether this means utilizing Flametongue Totem, or getting use out of your Wrath of Air Totem. Searing Totem can help finish off minions, while Healing Totem can help save your minions for another battle. Hex is a great removal spell so save it for high priority target. Keep in mind you can use Hex on your OWN minions. Why would you do this? Say you know your opponent has a card like Leeroy Jenkins in their hand. You have no taunts and are at 6 health. You can Hex your own minion creating a 0/1 Taunt and potentially live for another turn. It’s a rare circumstance, but it’s still good to know! There are times where you’ll want to play a turn ahead. What this means is potentially trading your Searing Totem into a 4 health minion on turn 5, so you can follow it up with a Fire Elemental and finish the minion off on turn 6. Warlock has arguably the best Hero Power in the game. The ability to gain card advantage is always a huge edge for players. This does lead Warlock to having fewer strong Basic class cards. This doesn’t mean that Warlock has all bad cards, the class currently has multiple deck types spanning all styles of play: Aggro, Control, and Midrange. If you’ve been watching Trump’s videos you’ve no doubt heard the phrase “Life is a Resource” many times. Warlock is the poster child for this type of play. You use your life to gain cards, which will eventually run your opponent out of answers and win you the game. The important lesson is to know that regardless of what your life total ends up being it only matters that your opponent’s ends at 0. If you’re going to use your Hero Power you should use this ability BEFORE you do anything else. You could draw a card that would fit the situation better, and if you play cards first you might not have enough mana to utilize it. Soulfire has since had its mana cost increased to 1 which is why you see it as 0 in the video. Warrior is the premiere weapons class. It had one of the best early game board control weapons in Fiery War Axe, but the card was nerfed and increased to 3-mana. While the card is still decent, it’s not nearly the powerhouse it once was. 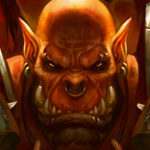 You’ll notice that the Warrior class tends to revolve around the idea of minions being damaged or already damaged. You can see examples of this with Execute and Slam. Warrior was classically been known as a control class due to its hero power, but had a long stretch of being the top aggro deck with Pirate Warrior. Execute, Fiery War Axe, Kor'kron Elite, and Arcanite Reaper. Just like in Rogue you should be using your weapons to maintain board control. Fiery War Axe is going to generally keep you stable in the early game, and allow you to increase your board advantage while you use your face to take out minions. If you’re going to use a weapon to take out a minion, you should do this BEFORE you use your Hero Power or a card to gain armor. Having more armor is better than having health. Your Health is capped at 30, while armor can go well beyond that number. Armor is also used for cards like Shield Slam, and having less health helps cards like Battle Rage and Mortal Strike. This also helps against a card like Alexstrasza which can reduce your health but doesn’t change your armor. Feel free to comment below if you have questions or additional tips that I may have missed! I’ve been enjoying the challenge of creating a new FTP account, and going through the new player experience. I would like to write up my adventure next month of going from scratch to rank 20, and see how long it takes me. The highlights for new players will be what quests to do, what to spend gold and dust on, and what decks to build to complete the Gad win quests and whatnot. soooooooo people would like to know what became of this idea evident did it completely putter out or what? Awesome write up and guide! also Big Thanks to Trump for making those videos! it’s such an excellent resource. big thank you! After the recent “Warsong commander nerf”, I think you should fix some parts of the introduction to Warrior.Warsong commander probably isn’t a “standout” anymore. (I’m quite sad about the nerf xD, patron was my first ever legit deck). Updated the post, thanks for the heads up! Thanks a lot for this guide! I forced a friend of mine to read it, he is new to the game and it was painful to watch him play arcane missiles on an empty board or throw holy smite onto someones face on turn one. He is now destroying rank 19 with this basic druid of yours, which is a lot better that his previous rank 23. Glad to hear that it helped! Big thanks to Trump for the decks. The Hunter section has the exact same error. It says, “Trump’s Basic Level 10 Paladin”. Great article! Helps me for building basic decks for my brother and basic concepts form easy way, thanks a lot! I think it’s a mistake the title “Trump’s Basic Level 10 Hunter” in paladin section. Thanks, I’m so glad this helped you! I fixed that mistake, thanks for letting me know.